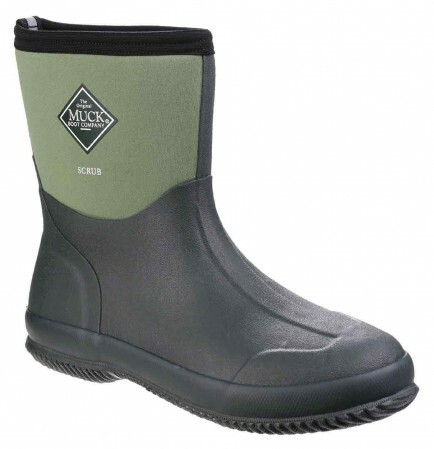 A calf height, lightweight Wellington that will take you from muddy dog walks to getting stuck into the gardening. 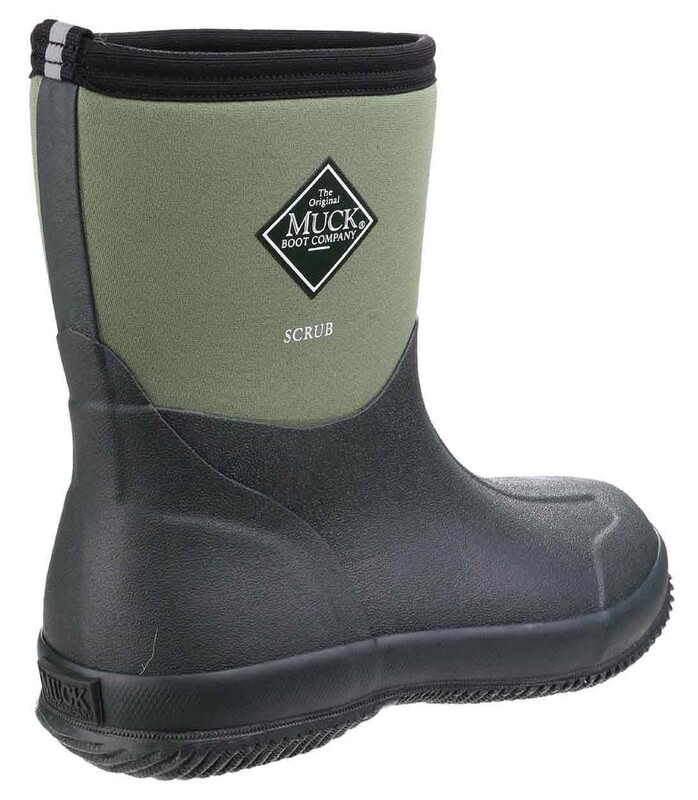 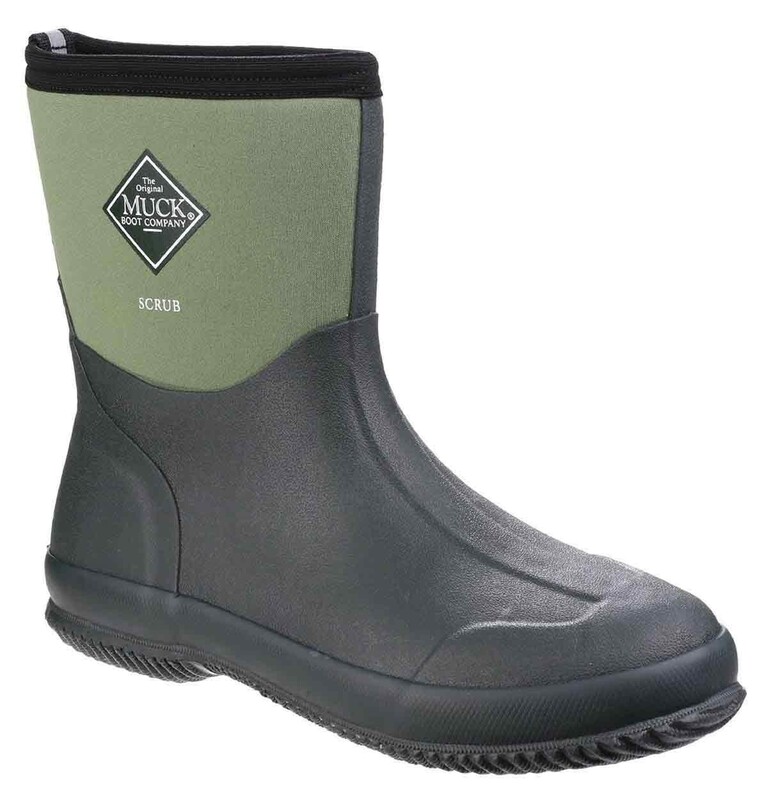 The Muck Boots Scrub Boot Lawn and Garden Boot Green/Dk Green features: Stretch-fit top-line, 5mm CR flex-foam bootie, Four-way stretch nylon is 100% waterproof, Lightweight and flexible, Toe protection with a wrap-around toe bumper, Self-cleaning out-soleTemp rating 0C to 18C. 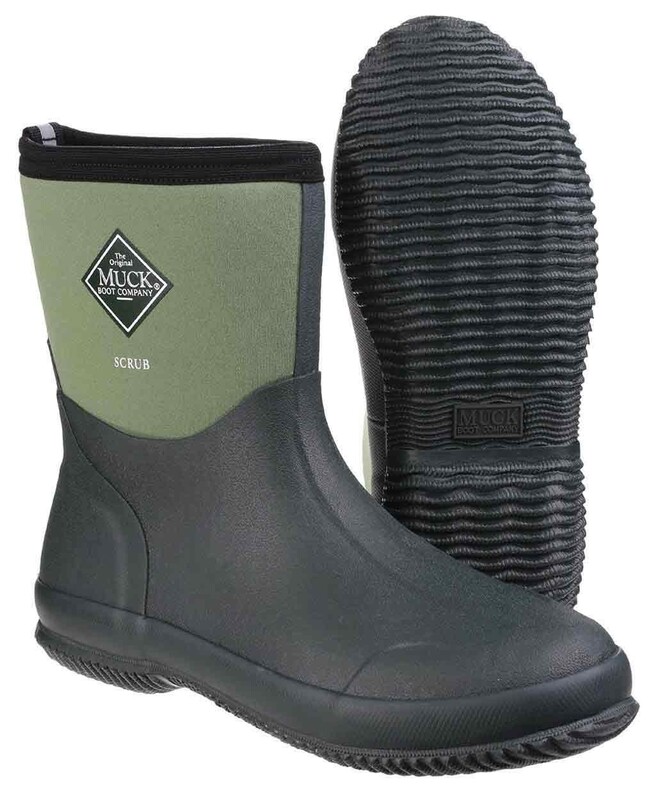 Upper: Rubber/Neoprene, lining: Textile, sole: Rubber.